We ensure professional and timely technical service with factory trained technicians available in every region where our machines are installed. Stock spare parts are always available in every market where our equipment has been sold. 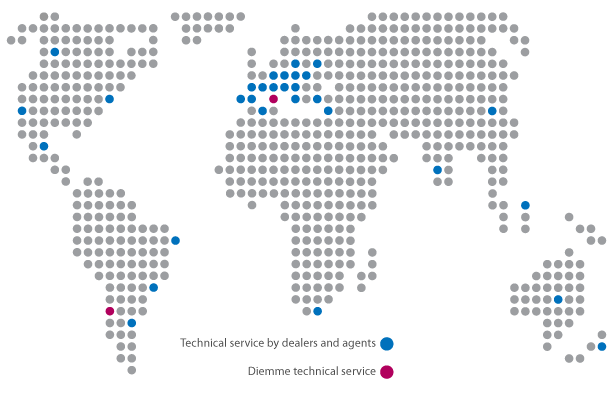 Annual technical update seminars are arranged for our customers and technicians working in our after-sales service networks in order to always keep customer’s equipment under perfect conditions.